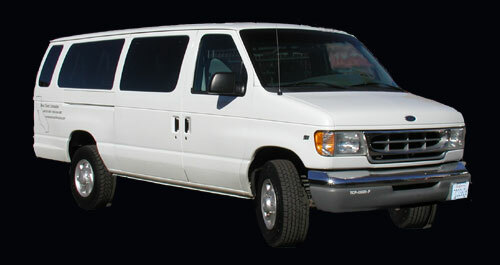 West Coast Limousine offers 2002 Ford Econoline 14 Passenger Vans. We have the most spacious vehicles in the area. Along with expert service, West Coast Limousine offers either Water or Sodas with charter service.